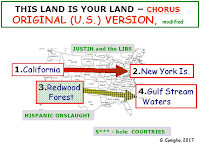 SILLY SONGS and SATIRE: Anagram-Lyrics for the FOURTH of JULY, "YOU CLAIM IT'S YOUR LAND"
Anagram-Lyrics for the FOURTH of JULY, "YOU CLAIM IT'S YOUR LAND"
ORIGINAL SONG: "This Land Is Your Land" by Woody Guthrie, originally written in 1940 as a protest song. Its bitter message expounded in the last few verses, reflecting the hardships of the Great Depression, have often been deleted, leaving it as a national song of praise (as in the Pete Seeger version). You can listen to the earlier version by Woody himself on Youtube here. 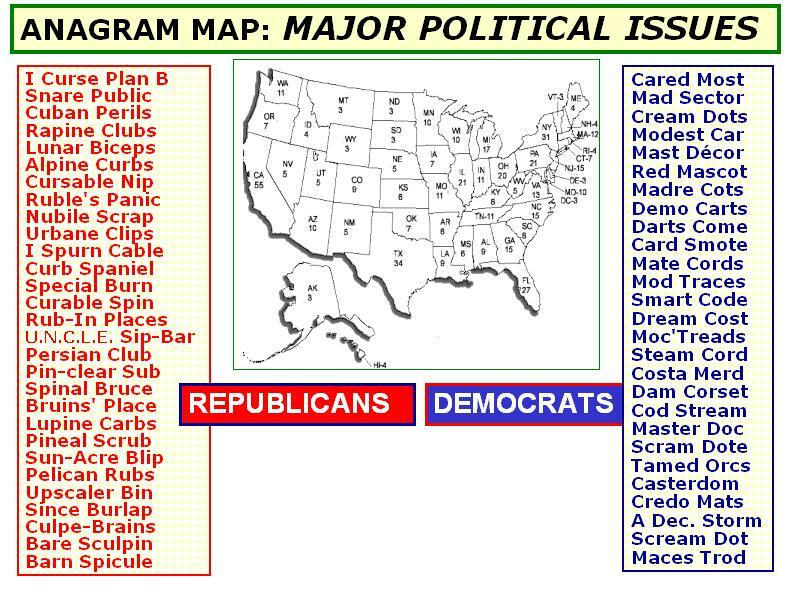 PARODY COMPOSED: Many of the anagrams used here were developed for a parody-lyrics blogpost related to the 2016 election, entitled "Election-Race Anagrams". The current adaptation of the Guthrie song was created by Giorgio Coniglio, July 2018. 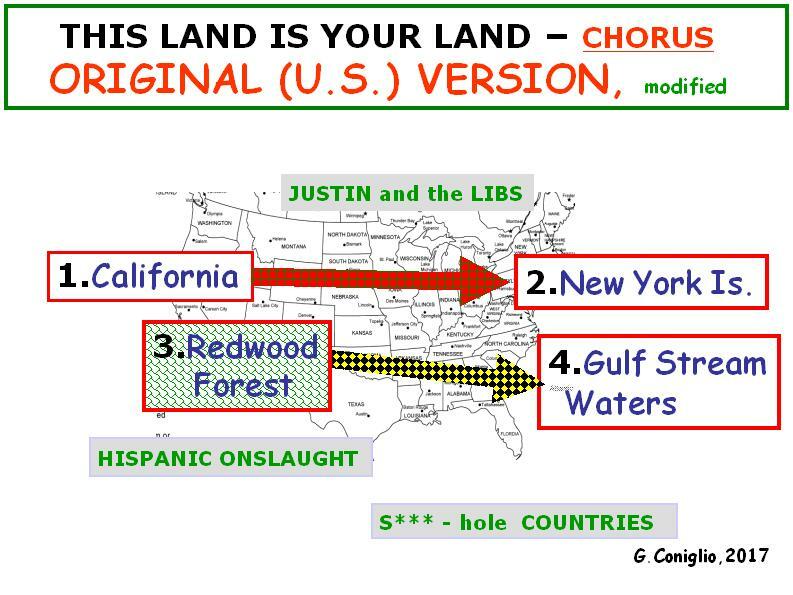 SONGLINK: A Canadian version of "This Land Is Your Land" was popularized by the Canadian group The Travellers in 1956. A parody of that version was presented on this blogsite for Canada Day 2017. Check out "This Land Has Anagrams". 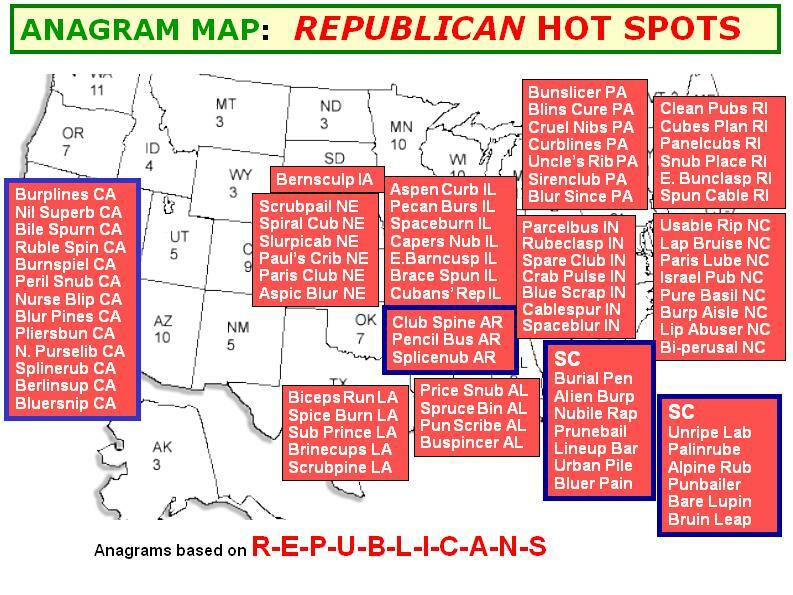 WORDPLAY LINK: For more palindromes, anagrams, verse, and Scrambletown maps, see our wordplay blog, Edifying Nonsense here. 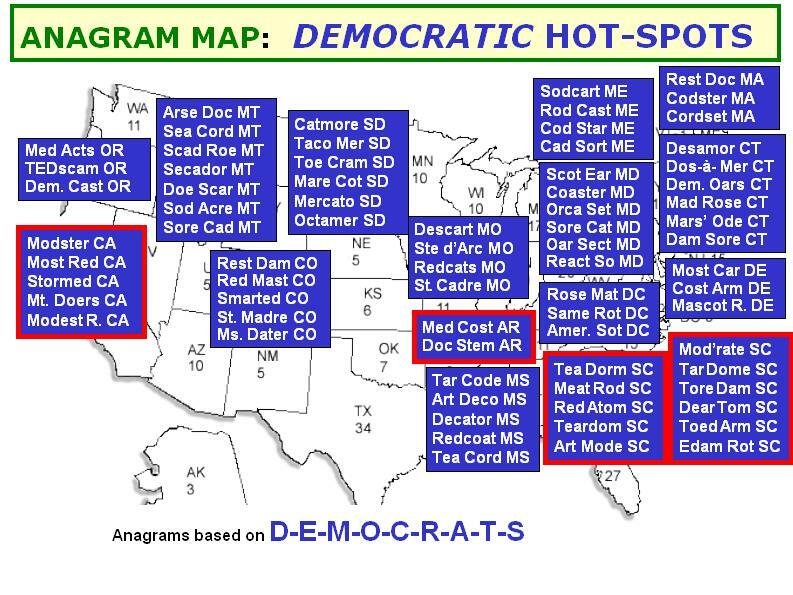 Wordplay from sea to shining sea. Wordplay on land and sea-to-sea. And avoided stepping on any BARN SPICULE. I'm no longer paying that PANIC'S RUBLE. Angry words hide a travesty. For wordplay (palindromes, anagrams, binomials, creative cartography, etc.) and silly poetry (polished limericks), see our sister blog "EDIFYING NONSENSE" here. For wordplay (palindromes, anagrams, eggcorns, creative cartography, etc.) and silly poetry (polished limericks), see our sister blog "EDIFYING NONSENSE" here.